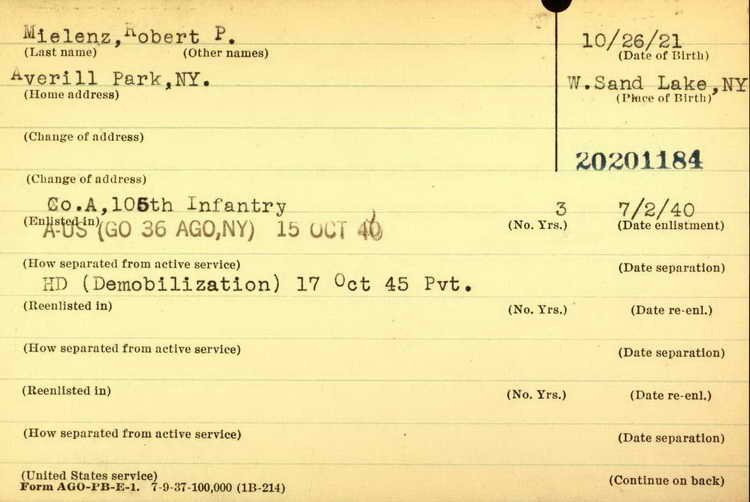 Robert Mielenz enlisted in the Army on 2 July 1940 and was assigned to Company A, 105th Infantry, a New York State National Guard Regiment. He volunteered for parachutist duty and was assigned to Company B, 508th PIR. However, on 2 September 1943 he was transferred to RS 990. His service from that point is unknown other than the fact that he was discharged on 17 Oct 1945.